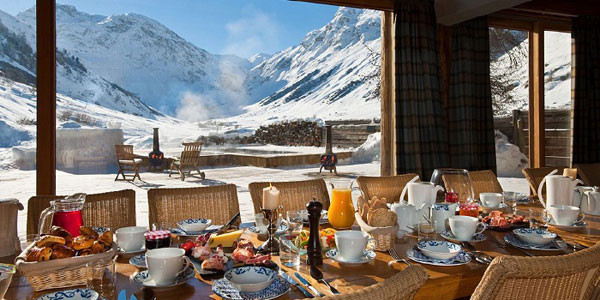 If you have a spare £25,000 lying about – who doesn’t – why not treat 19 of your friends/colleagues and yourself to a week of the ultimate in luxury mountain living. 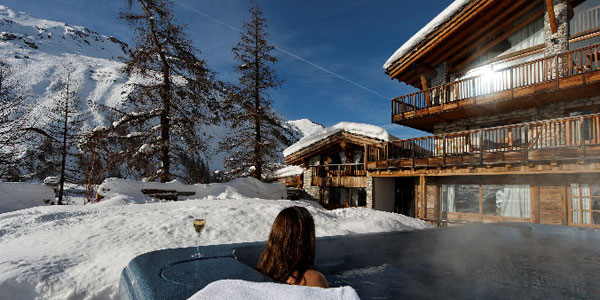 Scottish company Le Chardon Mountain Lodges own six ultra-luxurious and unique chalets in the Val d’Isere region. 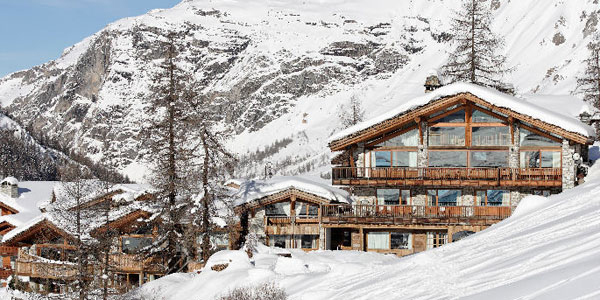 Of the six, Le Chardon, the signature chalet, is undoubtedly the most desirable and exclusive chalet in the whole of Val d’Isere. Situated on the side of Solaise Mountain, Le Chadron boasts stunning views of the Manchet Valley and Vanoise National Park. The ten fabulous king size en-suite bedrooms and two spacious living areas share a beautiful, light and modern décor. Outside, a stunning terrace and hot tub make for the perfect place to watch the sun set – champagne in hand, naturally. From beginning to end, the emphasis here is on luxury. Airport transfer via chauffeur driven luxury shuttle or helicopter can be arranged (for a price). An enthusiastic and expert concierge service can be called upon at any time for any need. And the menu is tailored to all guests’ preferences and dietary requirements.